Within this report are actionable recommendations for how the Obama administration can better use its military health programs to overcome knowledge gaps between the often segregated global health and national security objectives and improve interagency and civil-military communication. 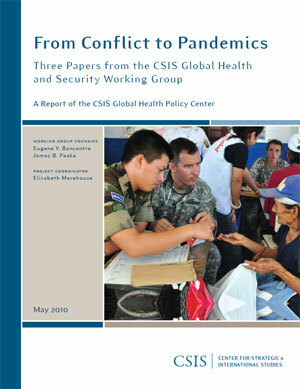 Recommendations focus on increasing global public health capacity, improving access to health care for host-nation civilians, and increasing security and stability abroad. Download this report. Please use the comment form below to provide feedback!